October has marked to be a very special month indeed this year at Kampala Children's Centre. The children at K.C.C. have officially become the very proud owners of their own Manchester United football kits, direct from Manchester United Football Club themselves. Dreams have been made a reality and our children truly couldn't be happier. The wonderful kits have been used to support our onsite football teams, Destiny United. This team in particular are our under twelve years football team, Destiny United-U12. There were also kits for our under fourteen years football team Destiny United-U14. 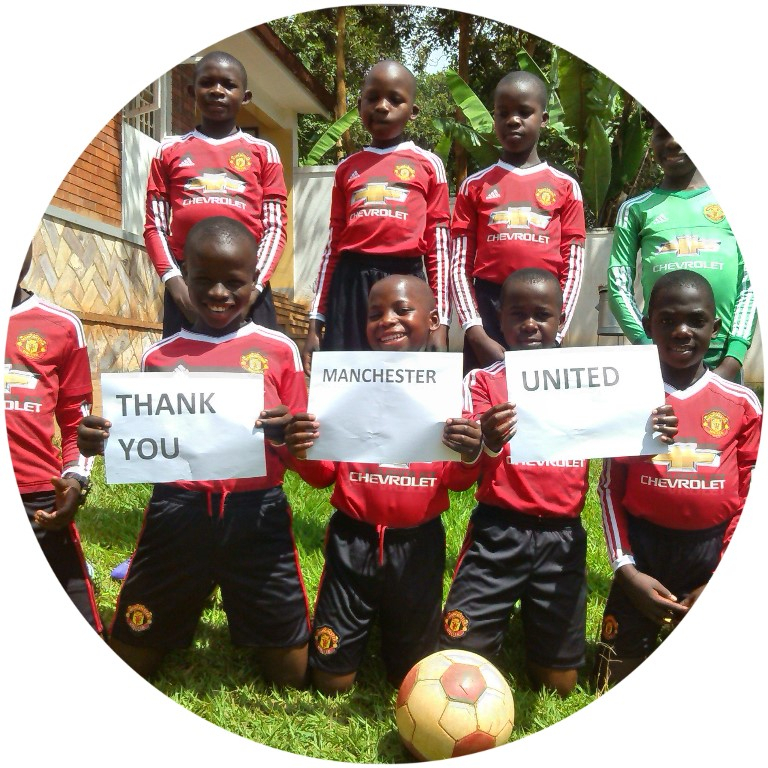 Our teams are so overwhelmed by the generosity of Manchester United, our children have been given such confidence and enthusiasm. On behalf of all staff and children, thank you Manchester United! Amongst supporting our super star football teams we are also raising support for our students. This 2016 we are welcoming donations for 20.00 pounds to supply one child with enough exercise books to last one school term. We believe that investing in strong educational foundations today, will lead to great opportunities tomorrow. If you would like to support our campaign, feel free to visit our website for secure online donation or contact our office here.